This item is on back order until March 2012. 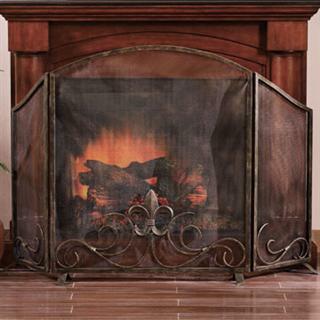 Fleur de Lis Fireplace Screen adds style to your fire place or mantle. 95% of our orders ship within 10 business days. Please allow up to a week for transit depending on your location. Fleur de Lis Fireplace Screen home decor accent item.